There's no denying there's less need for expensive printing equipment and there's less need for hard copy printed output inside the offices of today's typical business clients. So, how does a business equipment, office products, and supplies reseller reconcile this inconvenient truth into a compelling value proposition? Here at Premier Business Products, our business philosophy has been developed and fine-tuned over the course of many years participation in the office products, supplies and business equipment vertical. First, let's make no mistake, our objective is to sell our customers the products they need to run their offices and to make money selling those products. Printing documents is at the foundation of many business practices so print, inevitably, underlies many other related business costs. It should be clear if print volume is reduced then costs in other related areas may also be reduced. Software applications are developed to help users become more efficient at what they do and the pieces are finally falling into place that allows users of inexpensive software applications to intuitively, and substantially, modify their historically analog behavior. This is leading to a rapid transformation of work habits in the office and accelerating the decline of traditional print. Resellers of business equipment and office supplies must modify their value proposition to accommodate these changes. It's no longer about uncovering what a prospect buys and trying to undercut the competition with lower prices. This approach is simply not enough to warrant a buyer's time. Instead, a collaborative approach must be offered that leverages a deep knowledge and understanding of the overall costs of printing documents and their associated expenses. This knowledge must then be combined with business intelligence to develop a compelling value proposition that buyer's cannot afford to ignore. At the foundation of any value proposition, there must be quantifiable data and the ability to measure results against a mutually agreed baseline. A collaborative approach toward achieving meaningful savings establishes a mutually beneficial relationship between the provider and the client. This, in turn, helps protect the business from competitors, reducing churn, and developing advocates. The analysis is the foundation for a proposal and the foundation for quantifying the potential savings presented in that proposal. If the analytics are misunderstood or inaccurate then the proposal will be flawed and the results unlikely to be as presented. A key differentiation between competitors is the ability to take raw data and apply it so it becomes useful business intelligence. Understanding the clients needs and presenting a number of options with their own individually, quantifiable pros and cons is critical for high conversion rates. This means the proposer must not only have a deep understanding of the best options available that underlie each of the alternatives but he must also understand the limitations and capabilities of the client and their ability to implement improvements and achieve the targeted cost savings. This requires extensive due diligence of client capabilities during the proposal building stage and must then be combined with the business intelligence to avoid setting unrealistic expectations. If the proposal has been diligently prepared and includes a number of alternative options, it should still have a natural winner that's quickly obvious to the client. However, it must also clearly demonstrate that the other options have been carefully considered and evaluated as these will answer questions the client would otherwise ask and the presenter would otherwise be unprepared for. A buyer will allocate valuable time to a provider that demonstrates its deep understanding of business processes and possesses the know how to convert this knowledge into tangible cost savings. In overcoming the urge to try and sell more of the same thing to a client and, instead, demonstrating the desire toward selling less and leveraging this to provide a compelling value proposition, the progressive reseller will develop advocates and reduce customer churn. Technology has, and continues to have, a major impact on business practices and companies that deploy technology are able to save cost to develop advantages over their competitors. Progressive resellers of office products, supplies, and business equipment have had to recognize that, in order to keep the customers they have today, they must sell them less of the same products tomorrow. This same principle also applies to new customer prospects where the expectation for reducing future costs, made possible by aligning themselves with a progressive supplier, must be established upfront during discussions. Underlying the ability to reduce print is the ability to create, store, and retrieve documents electronically. In the digital world, documents are born "digital" and they die "digital" which means there's less need for expensive machines designed to print and copy large volumes of paper. As a result, the amount of supplies (ink and toner) and other consumables (such as maintenance kits) required to operate the machines can be significantly reduced, which then facilitates reductions in other related operating expenses. Cost improvements don't stop with reduced capital outlays and reduced spending on paper and other printer consumables, they go further, deep into the overhead cost structure of a business. With fewer hard copy documents printed, there's less to file, and less to potentially retrieve. This means there's less space required for cabinets to store documents in, and there are less people needed to do the filing and potential retrieval work. Furthermore, with nearly 100 million (nearly 75% of the entire U.S. workforce) now working (at least to some degree) from remote locations away from the corporate office, there's a massive need for electronic (cloud) storage of documents that can be instantly retrieved by authorized personnel using password protected internet connections. Once the infrastructure is in place for creating and storing documents electronically, many typical office workflows can be digitized and, as they are, they become more efficient. For example, in creating a customer proposal, all the work can be done online and placed inside a previously prepared customer "proposal" template. This can then be routed electronically for approvals before being sent (also electronically) to a customer. Its progress can then be tracked, with opens and clicks monitored, providing essential intelligence whether the prospect or customer has really engaged with the proposal. In this work practice, there's no longer a need for layers of management to physically be in the office to view and approve a hard copy proposal before it's authorized to be sent to a customer or prospect. It no longer matters that senior management may be away from the office traveling or on vacation. Documents can be viewed and electronically approved via mobile devices in a fraction of the time it used to take in the analog world. Ultimately, it's this type of improved business efficiency that contributes to new business opportunities being won or lost. Not only is the use of a template more efficient than building a custom document every time a proposal is needed, but all the management time routing and waiting for approvals is eliminated, as well as the need for administrative staff to file the document in a cabinet from which, in most cases, it's unlikely it will ever be retrieved. In other words, the cost to print and file is, in many cases, effectively a waste of time and resources. With this background knowledge, it should become clear why it's necessary to deploy a process for electronically capturing customer's and prospect's print requirements, converting the data that's collected into business intelligence, and identifying opportunities for reducing print costs that, subsequently, allow clients to strip away other layers of associated costs. It's this data driven, customer-centric approach that secures the development of long-term, mutually beneficial customer relationships. How many networked printers are being used. The make and model of each of the devices. How many pages are printed on each device. What the mix is between monochrome and color printing. Projected dates for depletion of ink and toner cartridges. Once the DCA is installed and has collected sufficient data it becomes possible to establish a baseline. In the following example, the client prints 30,500 monochrome pages per month spread over three monochrome printers aged 17 months, 9 months, and 13 months. The original capital investment, including extended 4-year warranties on each device, was $17,162 and the total four-year cost of ownership is calculated to be just over $33,000. The original investment has been depreciated by around $5,200 to just under $12,000 at the time of the analysis. Analysis of the printing device users, as well as the types of document output they create, is performed to help determine a path forward for recommending new workflows with the objective of replacing analog (hard copy) output with the digital output that's necessary to reduce print volumes and improve efficiency. Forward projections are established for print volume based on client adoption of workflows necessary for converting hard copy output to digital. Identifying suitable hardware options with the lowest total cost of ownership (TCO) to suit the future output requirements. Note, this may involve immediate replacement of a printing device, or it may require continued use of a less efficient device until the appropriate financial threshold is reached to warrant replacement. The above chart compares the relative costs incurred to operate the printing devices over a 48-month period at different levels of print output. The mid-point of the analysis is the current monthly print volume (MPV) as represented by the solid blue vertical bar. This shows us the relative costs for each of the devices at that print volume. The chart is also designed to show the relative costs over a range of volumes, above and below the median point, and is an important tool as redistribution of the volume is evaluated as part of the upcoming proposal to reduce cost. 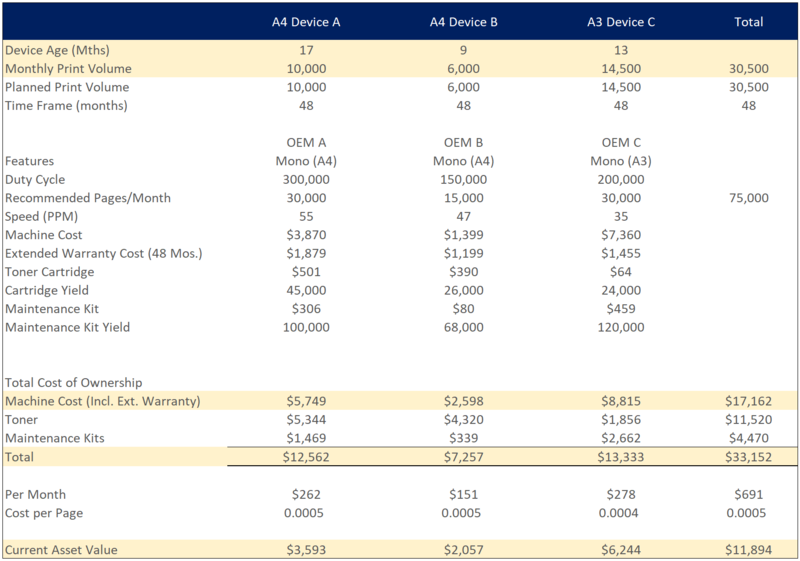 It should be clear that the lowest cost option (before considering customer user requirements) would be to retire the OEM A (A4) and OEM B (A4) devices and place all the volume on the OEM C (A3) device. In fact, all the way from the cross-over point at 13,000 MPV, the OEM C (A3) device is the lowest cost option. 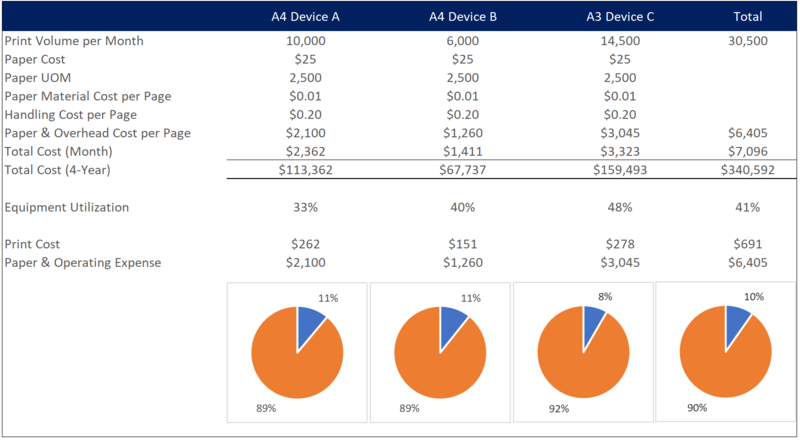 Throughout the MPV range analysis, the OEM A (A4) device is consistently the highest cost. Numerous variables are taken into consideration while developing a proposal for reducing print costs. As illustrated in the pie charts below, while it's usually possible to identify opportunities for significant cost reductions in the direct operating costs on the printing devices, these costs only represent a small piece of the overall pie. The big savings come from implementing changes to workflows designed to reduce monthly print volumes. The summary table below contains five variants that have been placed alongside the current baseline. The objective is to identify the variant that best fits the client requirements and their capabilities while maximizing the cost reduction opportunity. Having established the total monthly print volume to be 30,500 pages split across the three printing devices, knowing the initial capital investment made to acquire the devices, when they were acquired, and how much they have been depreciated, alongside the cost of the consumables (toner and maintenance kits), it becomes possible to calculate the Total Cost of Ownership (TCO) at $33,152 across the 48 month time frame. However, once the paper costs and the paper handling costs are added in, the total cost becomes just over $340,000 or $2,362 per month. Eliminating the most expensive printing device (A4 Device A) from the environment, transferring 2K prints per month to the OEM B (A4) device and the balance to the OEM C (A3) device saves 26% on the monthly printer operating costs, but only reduces overall print and print related costs by 3%, or $8.5K over 4 years. Total print volume is assumed to be unchanged at 30.5K per month. Retiring the OEM A (A4) machine will require a $3.6K equipment write-down plus around a $60 write-off on un-used consumables remaining in the printer, based on the assumption the retirement takes place one month from the analysis date in order to optimize consumables depletion. Equipment utilization (MPV divided by OEM recommended output) is a comfortable 68% leaving adequate capacity for spikes in print demand. Eliminating the two most expensive printing devices (OEM A (A4) & OEM B (A4)) and consolidating all print to the OEM C (A3) machine. 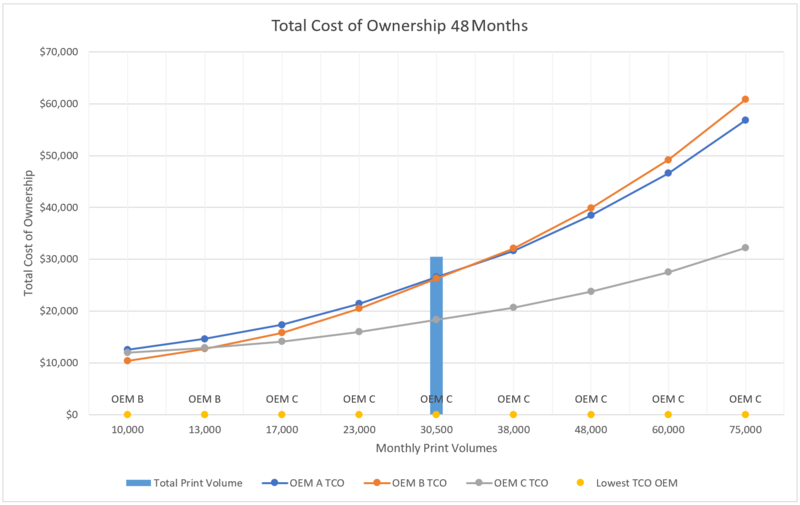 Overall print volume is unchanged at 30.5K but the OEM C (A3) machine has the lowest operating costs and will save 45% on the monthly printer operating costs, but only reduces overall print and print related costs by 4%, or $14.8K over 4 years. Total print volume is assumed to be unchanged at 30.5K per month. Retiring the OEM A (A4) and OEM B (A4) machines will require a $5.6K equipment write-down plus around a $240 write-off on un-used consumables remaining in the printer, based on the assumption the retirement takes place two months from the analysis date in order to optimize consumables depletion. Equipment utilization is a problem at 102% leaving inadequate capacity for spikes in print demand and, by proposing to reduce from 3 printers to 2, the plan is likely to encounter user-resistance with the increased walk and wait times required to visit one central printing device and the resulting offset in efficiency. The most significant difference with this variant compared to Variant 1 & 2, is the assumption of client adoption for new workflows and embracing "digital" or "virtual" documents that reduce overall print volume by 40% from 30.5K to 18.3K per month. Then, by eliminating the most expensive printing device (A4 Device A) and directing 4K prints per month to the OEM B (A4) device and the balance to the OEM C (A3) machine, it saves 43% on the monthly printer operating costs, and reduces overall print costs by 40%, or $137K over 4 years. Retiring the OEM A (A4) machine will require a $3.6K equipment write-down plus around a $60 write-off on un-used consumables remaining in the printer, based on the assumption the retirement takes place one month from the analysis date in order to optimize consumables depletion. Equipment utilization is a comfortable 41% leaving more than enough capacity to accommodate reasonable spikes in print demand. The same assumption is used in this variant regarding the 40% reduction in baseline MPV from 30.5K to 18.3K but we evaluate retiring the OEM A (A4) and OEM C (A3) machines and placing 100% of the output on the OEM B (A4) machine. This option requires the write-down of nearly $10K of equipment costs plus a nearly $300 write-off of unused printer consumables. Furthermore, while this option successfully reduces overall print and print related costs by 41% eliminating almost $140K in expense over the 4-year period, it overloads the OEM B (A4) machine to 122% of its capacity. Not only would this over-stress the machine and lead to the likelihood of more frequent maintenance issues, it leaves no capacity for any spikes in print demand. The final option assessed is similar to Variant 2, incorporating the 40% reduction in print output and eliminating the OEM A (A4) and OEM B (A4) print devices. 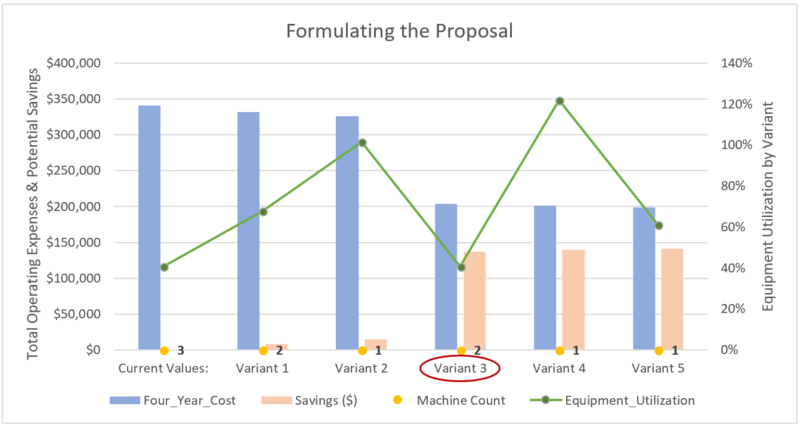 However, while the reduced print output means the expected utilization is acceptable (61%), and overall costs are reduced 42%, saving just over $140K over the four years, the same user environment issue is created whereby minimal additional savings are generated compared to Variant 4, and the loss of two printing devices versus one, is likely to lead to user resistance and loss of operational efficiency offsetting some of the savings. The strategy with the development of the proposal is two-fold. First, it is to optimize the use of the existing printing devices in a fashion whereby they are operated at the lowest possible cost. Second, it's to collaborate with the client to implement improvements to workflows that enable a substantial reduction in print volume to take place while helping the client to significantly improve its operational efficiency. In this business case, it should be apparent that the optimal solution is Variant 3. This solution enables almost 100% of the savings to be realized while keeping two of the three printing devices functional at the client site. Implementation of the proposal, in terms of the printing device optimization, is relatively quick and painless. 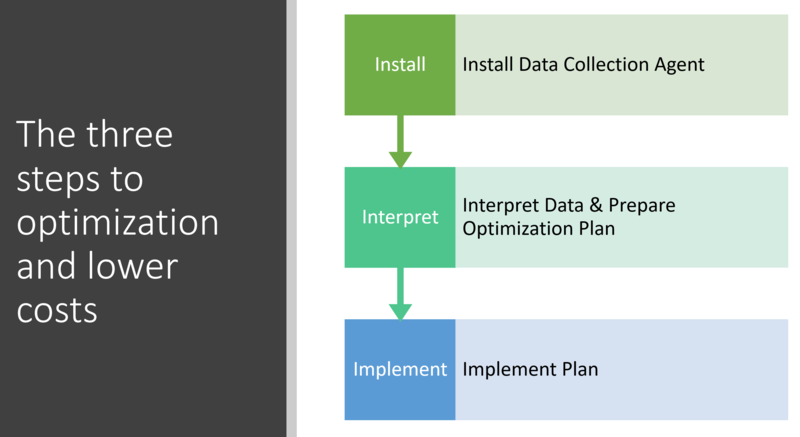 Implementation of new workflows and the conversion of historically analog, hard copy documents to digital takes longer but, with the client's full understanding of the savings potential, there's a high level of motivation to work toward the quantifiable goals that have been established. The collection of empirical data, and its subsequent conversion into business intelligence, enables Premier Business Products to deliver a customer-centric proposal to clients and prospects. The optimal solution will eventually be determined as a result of a collaboration with the client that results in a solution selected to cause minimal disruption to the users of the printing devices while maximizing the cost reduction potential. The client is willing to give up the time to collaborate and achieve this goal because the potential savings are so significant. For the less progressive reseller, attempting to present its value proposition when only focusing on 10% of the overall pie, they simply cannot compete, and the client simply won't collaborate, because it's not worth his time to do so. No stone is left unturned during the process designed to identify the maximum possible cost savings while implementing workflows that improve operational efficiency for the client. As has been shown within this paper, there are considerable complexities and many variables that must be taken into account in order to achieve the desired outcome. Not only is the resellers willingness to build and implement a proposal (that's counter-intuitive to most business owners because it's designed to help the client reduce cost by buying less), it can only be formulated with a deep understanding of the cost elements associated with printing devices and their consumables. 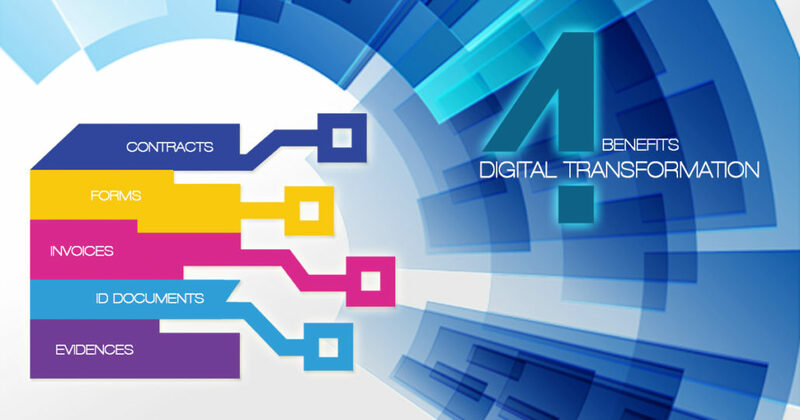 This capability must then be combined with the technology for implementing workflows designed to turn analog documents into digital documents for the purposes of reducing print output and improving efficiency. For resellers with this knowledge and these capabilities, there are significant opportunities to grow a business in a shrinking market even with strategies that are designed to accelerate the decrease in overall print volumes. Pretending otherwise and attempting to simply compete on a transactional basis with lower prices is doomed to fail in the digital age. Why not experiment with our Total Cost of Ownership Calculator to help you develop a better understanding of your real life scenarios? Just complete the form below to get instant access.